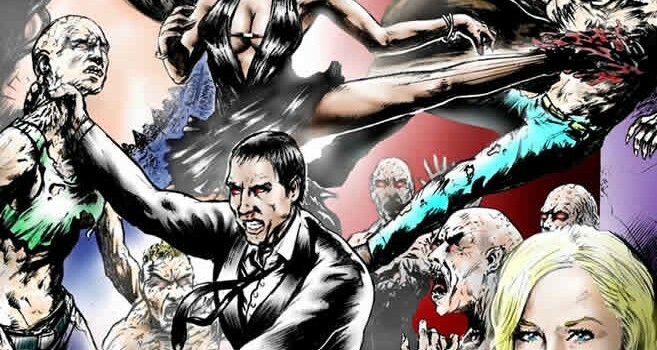 With so many writers and artists currently struggling to make a living, it’s rare that we see comics being put to such a good cause as Black Snake Studios’ new Comics Fighting Cancer charity initiative, which commences with the release of RIP #1 this month. Comics Fighting Cancer is a new way to donate to fight cancer! All Profits will go towards The National Foundation for Cancer Research. What makes this project unique is the fact that our comic is completely donor funded. Every page of this comic was paid for by people wanting to create a change and find a cure for cancer. We hope you will join us in the fight against cancer. So, basically, for just a few quid you to get to aid cancer and receive either a digital or printed edition of the RIP comic book in return. The site has a list of the amounts you can pledge, and what you’ll get in turn. So, spare a dollar and you’ll receive a digital copy of RIP #1, while a few dollars more will see name printed in the acknowledgments section, and a signed edition of the book. All in all, Comics Fighting Cancer is an impossible cause to argue against donating just a few dollars via Paypal. Physical copies will be available in selected US retail outlets in April, with digital copies soon to be available on both Panelfly and Drive Thru Comics. For more information visit BlackSnakeStudios.com. And if you want to look ultra-stylish while you fight the battle against cancer, the latest episode of Katarina Emgård’s webcomic/fashion store fusion is up at kisenja.com.